NEXT-GENERATION SAFETY TRAINING IS HERE! 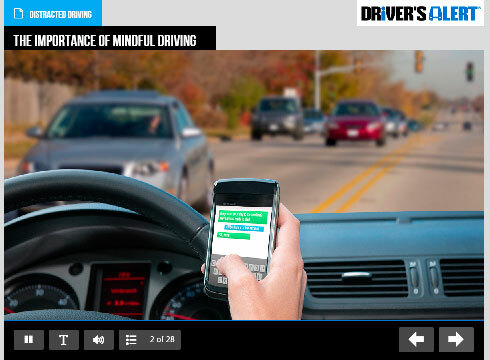 In 2010, Driver’s Alert made news in the fleet industry with the launch of corrective action training. This revolutionary feature gives managers the ability to “close the loop” on driver improvement. Instead of merely identifying and documenting unsafe driving behavior, managers now have a tool to do something about it. LMS Courses offers more than 150 eLearning courses, all built from the ground up, all in house! And we’re building new courses every month. No one can build content faster or with higher quality!